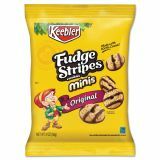 Keebler Mini Cookies, Fudge Stripes, 2oz Snack Pack, 8/Box - These delightful shortbread cookies are striped with delicious fudge made from 100 percent real cocoa. 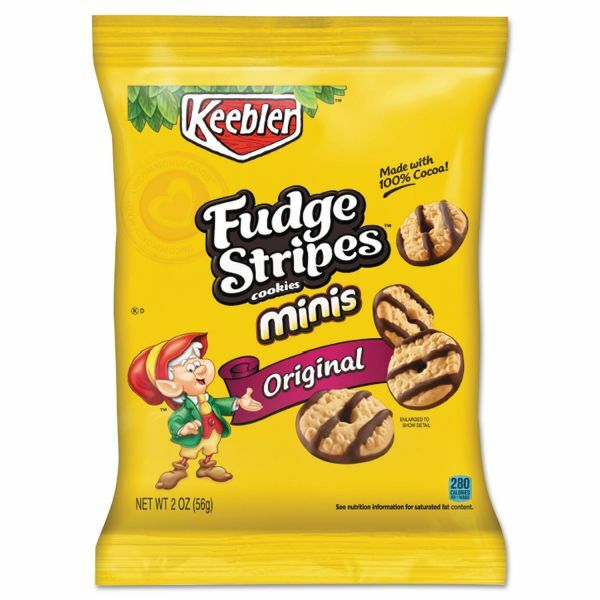 Mini size lets you enjoy a quick snack. The 2 oz. single-serving bags ensure freshness for each snack time. 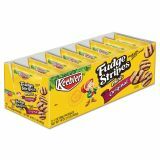 They are also great for on-the-go or your breakroom.